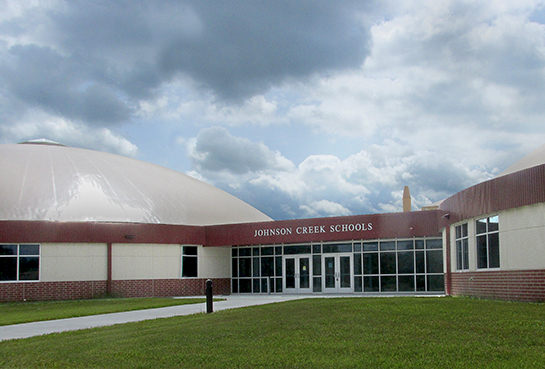 Leaders at Johnson Creek School District made an unconventional choice for the District’s first-ever new construction project, selecting a domed design. It’s also a smart choice: A dome offers lower costs while achieving the greatest possible square footage. 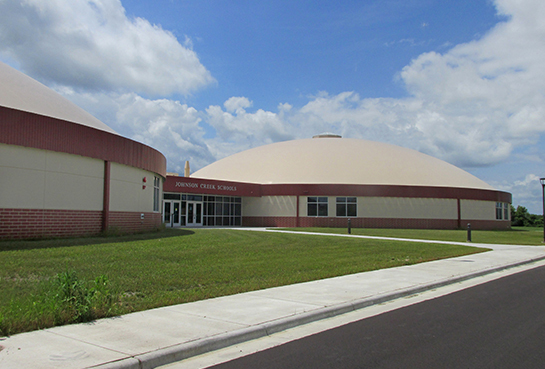 The middle school and high school breaks new ground in the state, too, as the first dome school in Wisconsin. 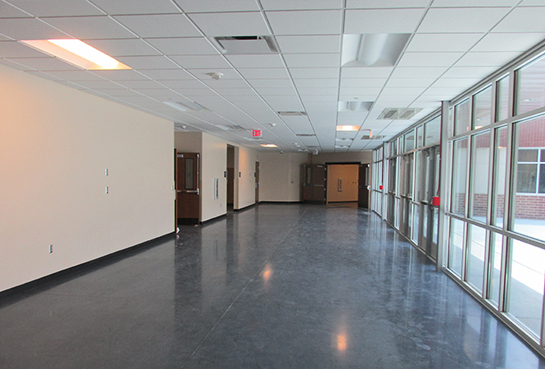 Reduced structural steel within the building allows for ample free-standing interior space. 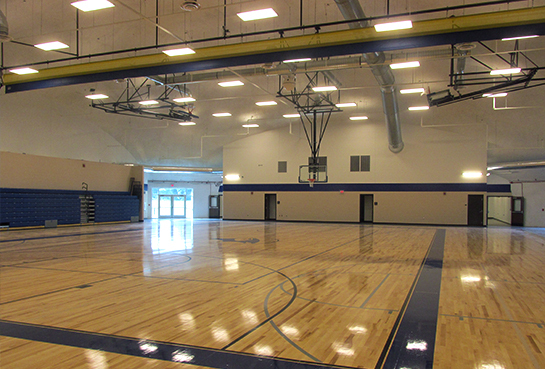 It’s a natural fit for an education facility’s gymnasiums, cafeterias, and other expansive areas. 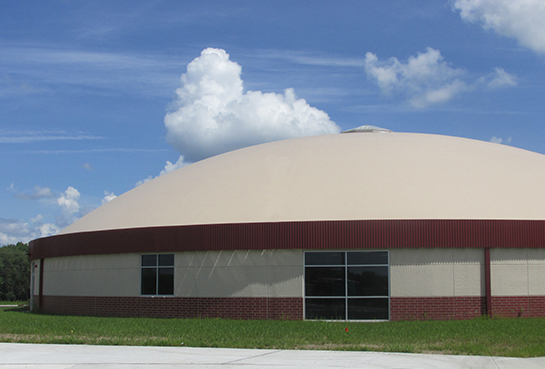 Domes also are more energy-efficient than traditional designs, meaning the District will save on operational expenses over the life span of the buildings. District stakeholders weighed these benefits against the unique set of challenges that domed structures present. By their very nature, domes are continually curving. This makes it more difficult to mount mechanical and electrical devices in a way that’s functionally and aesthetically integrated with the architecture’s smooth lines. The TSP team’s experience with a K-5 domed school in Grand Meadows, MN, led us to refine a “stem wall” concept. At Johnson Creek, each 11-foot-tall stem wall rises vertically from the foundation to support the dome atop it. This makes it easier to affix interior systems, raises the interior headspace along the dome’s perimeter, and makes it possible to incorporate windows as part of the design. 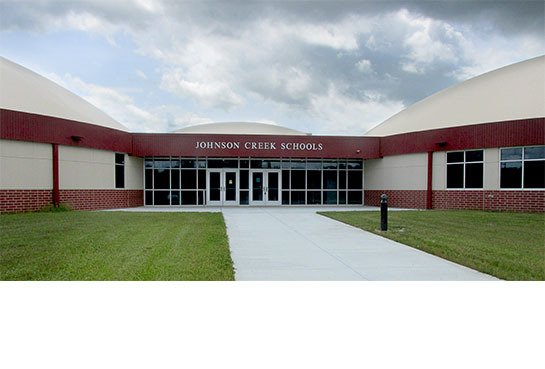 TSP is proud to incorporate these and other techniques to provide a quality school for the District’s families and an iconic landmark for the village of Johnson Creek. The building footprint includes five domes, connected by common spaces. Three domes are 140 feet in diameter, while the other two are 160 feet in diameter. Working with District representatives, we built in the possibility of future domes as enrollment drives the need for more room. Each of the original five domes serves a specific purpose: high school education, administration, middle school education, gymnasium dome, and cafetorium.